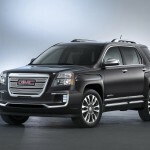 GMC’s 2016 Terrain lineup has been revealed and the models come with a bunch of upgrades. 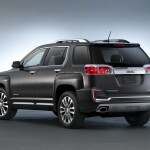 Terrain enjoys 5% in compact SUV market of USA and now it has been upgraded to make its market presence even stronger. The new Terrain would be displayed at New York Auto Show. It would then go on sale in fall 2015. Customers can have the following versions- SLT, SL, SLE that is SLE-1 and SLE-2. 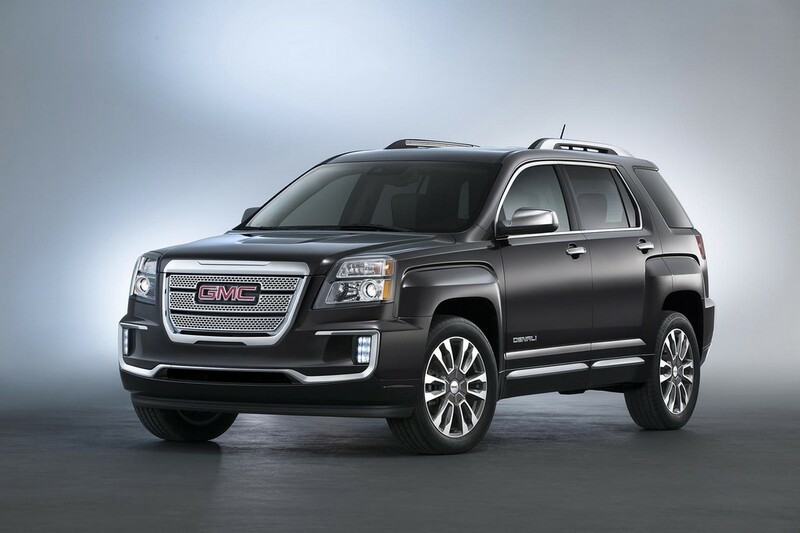 The range-topping model is Denali that will have a tri-segment texture for the front grille. 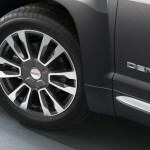 Denali, SLE and SLT have all-wheel drive. The front as well as rear have been given new looks with the lower chrome trim that is C-shaped. 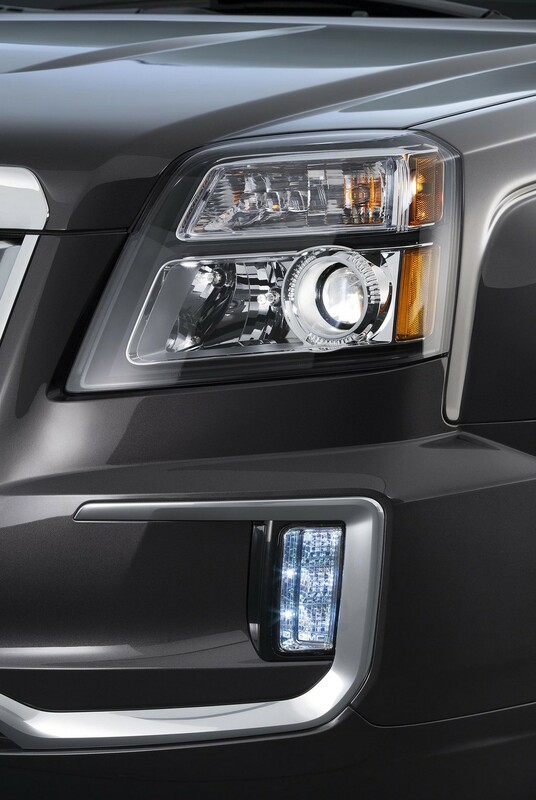 The trims Denali, SLE and SLT come with a grille that is chrome-accented. The hood gets a new power dome design. 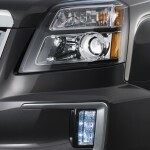 Also present are LED daytime running lights that have been restyled. These come in the upper-spec models. 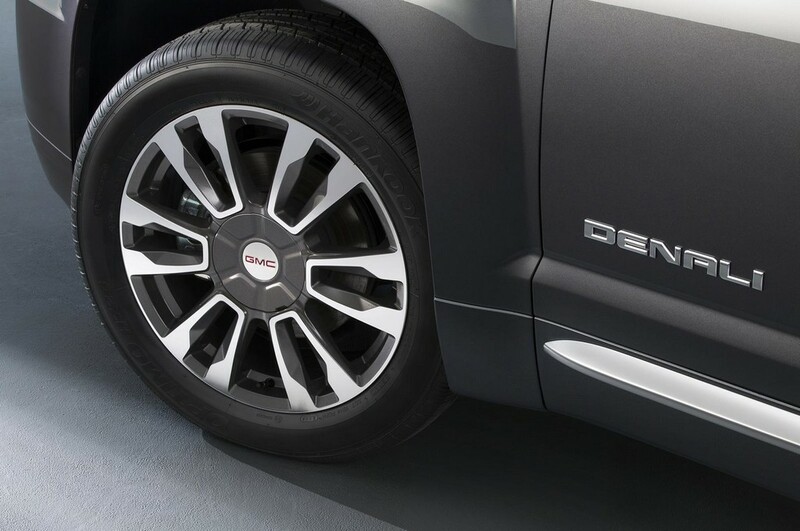 Denali gets smart 19-inch rims, whereas 18-inch alloy wheels can be seen on the non-Denali cars. The cabin has a new center stack for instrument panel. A storage shelf has been incorporated now. The control graphics too have been updated. The models SLE and SL offer a high-quality cloth material for the seats. 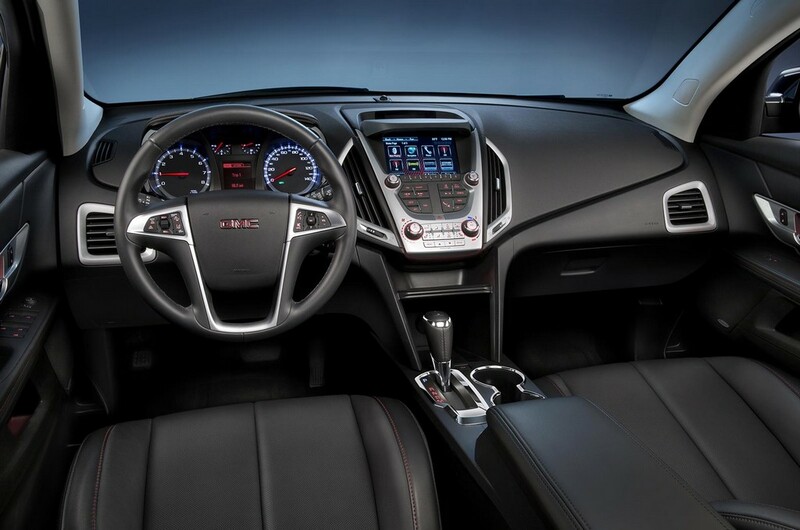 While the SLE features a new interior with Saddle Up leather. 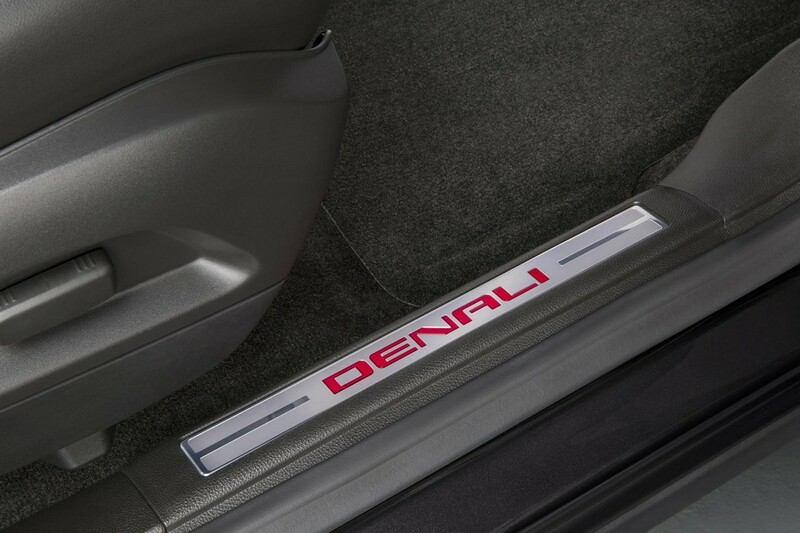 Denali offers a cool combo of Jet Black and Light Titanium for the interior. 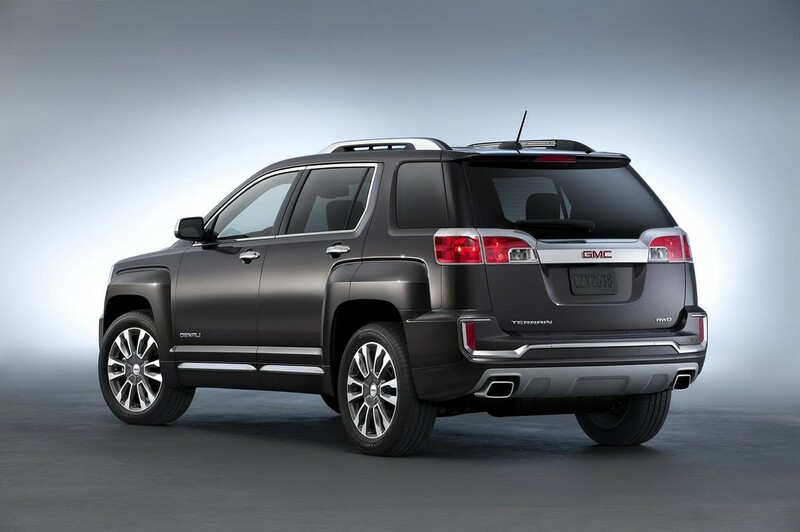 Denali has dual-flow dampers for its suspension system. The ride thus becomes smoother. Also, the handling is improved as suspension dampening is controllable. The models are great when it comes to functionality as well. The rear seat features MultiFlex sliding that is GM-exclusive. The generous cargo space of 894 liters is offered behind rear seat. The rear seat can be folded to accommodate even more cargo. After the folding, the space amounts to a gigantic 1,809 liters. The transmission shifter is also new and features attractive chrome accents. Passenger in the front seat gets 8-way power-adjustable seat in the SLT. The SLE as well as SLT get Rear Cross Traffic Alert and Side Blind Zone Alert. As for the looks, both these models can be had in two shades- White Frost Tricoat ,while the other one is Crimson Red Tintcoat. 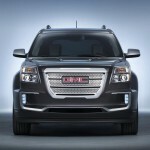 GMC hasn’t brought about any modifications in the powertrain. Hence, the customers have the same choices as before. The 2.4-liter four-cylinder generates 182 bhp power and a torque of 172 lb-ft. This Ecotec engine uses direct-injection and is very efficient as can be seen from 32 mpg for the highway. This figure is for the FWD models. People wanting a more performance oriented model can go for the mightier engine. This one is a 3.6-liter V6 direct-injected unit that generates 301 bhp power, while the torque amounts to 272 lb-ft. The powerful unit makes possible trailering capacity as much as 1,588 kg. 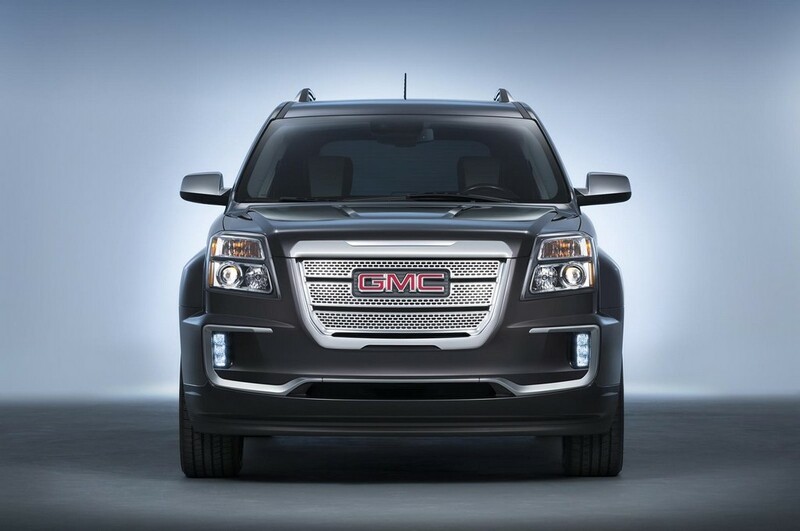 With the brilliant technology GMC IntelliLink, customers have access to OnStar. The system features 4G LTE connectivity. Wi-Fi hotspot is present too. The GMC IntelliLink offers a mobile hub so that the passengers and drivers can stay connected. The hotspot will stay on provided the car is on. It comes with 3GB/ three-month data trial (whichever is reached first). The power liftgate is programmable. 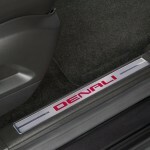 It is present as a standard feature on Denali and can be had on SLT if customer wants to. The power liftgate comes with memory function, with which the liftgate can be stopped at a selected height. This feature is for helping short heighted drivers and for convenience in case the garage has a low height. Terrain offers several safety and assistance features – Lane Departure Warning, Rear Cross Traffic Alert, Side Blind Zone Alert, Forward Collision Alert and Rear Park Assist.